The net neutrality debate has been dominating headlines for some time now. A lot of people have trouble understanding all the fuss from either side of the political spectrum. First of all, net neutrality is the idea that internet service providers have to treat all network traffic the same — a bit is a bit, no matter where it started and where it ends up. This means that providers can't offer various levels of service for various kinds of traffic. Whether it's from Netflix or your neighborhood bird-watching blog, ISPs have to treat the traffic equally. Opponents of net neutrality tend to be telecommunications giants who saw the additional regulations imposed by the Federal Communications Commission (FCC) and the implementation of the 2015 Open Internet Order as problematic. Proponents of the net neutrality rules including Google, Facebook, and Netflix largely supported those rules. But how did we even get to this debate? In 2007, Comcast was told to stop blocking traffic from a file sharing service, BitTorrent. The FCC stepped in and accused Comcast of unfair business practices. Comcast sued, claiming the FCC didn't have the proper authority. Fast forward three years, and the courts agreed with Comcast. Back then, Comcast was accused of throttling traffic between person-to-person file-sharing services on their networks. Comcast explained that they were clamping down on the spread of pirated material. Some online communities were outraged, but the government didn't have the authority to make them stop. Comcast was free to operate as they saw fit. In another example, in 2012, AT&T stopped iPhone users from making FaceTime calls unless they purchased a new shared data plan package. Customers with older data plans were out of luck. AT&T claimed the video calling app would cause congestion on its networks. Opponents accused AT&T of disrupting a service that would compete with their primary business — making phone calls. In 2015, new FCC commissioners and the Obama administration found a way to wrangle the authority needed by the FCC to weigh in when they felt broadband companies weren't using their power fairly. Thus net neutrality was born. As you know, 2016 ushered in a new Trump administration. With that, new FCC commissioners recently voted to put an end to the Order of Open Internet. Net neutrality has been relegated to the history books. Central to this debate is whether an internet service provider, or broadband company, should be treated as a public utility. If you agree, you believe it should be regulated by the FCC and forced to comply with rules aimed to ensure fairness. If you don't, you're in favor of letting the markets (i.e. 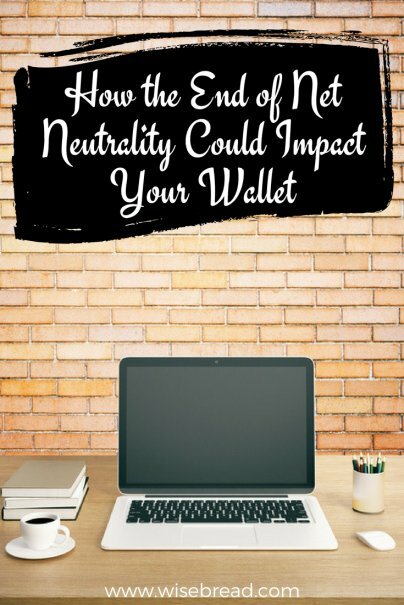 consumers) decide and vote with their dollars, and were probably happy to see net neutrality go. I tend to think most of us are in the camp that wonders how these rules, regardless of which side of the argument you're on, will impact our lives personally. As with most things in the news, I often wonder how this will affect my life. The impact these changes will have may not be known for some time. If the FCC's long, storied history is any indication, these rulings will be challenged in court and the final outcome won't be settled for years. Public Knowledge and the National Hispanic Media Coalition, along with other public interest groups, have already announced plans to challenge the net neutrality changes in court. For now, we must rely on the experts to understand how the rule changes may impact our wallets. Some are predicting that broadband companies could limit access to certain content providers unless you pay for higher tier services. This means that you have a choice; do without high-speed access to your Game of Thrones weekly fix, or upgrade to a higher-priced internet package. We could also see higher costs passed on to us as content providers like Netflix try to ensure their customers retain the same level of access and enjoyment. If experts in favor of the changes are right, fewer regulations will encourage competition and that could bring the prices down while encouraging innovation. At this point, we're best served by keeping an eye on our expenses. If prices begin to rise to a point where your wallet is screaming uncle, shop around for alternative sources to supply your connection to the internet. And keep paying attention to how these changes may impact your wallet long after the debate has faded from the headlines. One thing is for sure: This issue is far from settled.